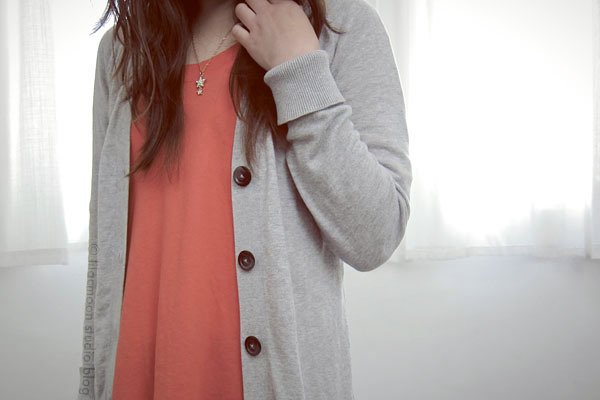 I live in cardigans. Layers really are the key to surviving SF weather. I have many that are getting kinda boring. And thin. This is a really old one that came with ugly, matchy matchy grey buttons. And I refuse to throw it out. 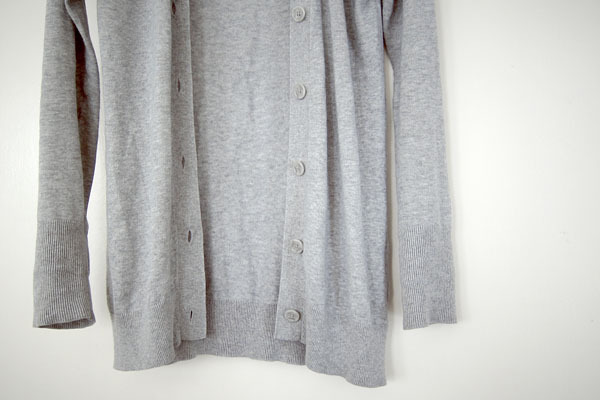 So I replaced its buttons with black buttons from another cardigan, and now it feels new again. Almost. The black cardigan that sacrificed its buttons? It's renewed, too, with shiny, gold buttons. The cream one (my favorite!) came with really cheap looking buttons, too, so BAM. I'm trying to resist spending hours on eBay for vintage buttons. Hold me back, folks! Hold me back!! What a great idea! 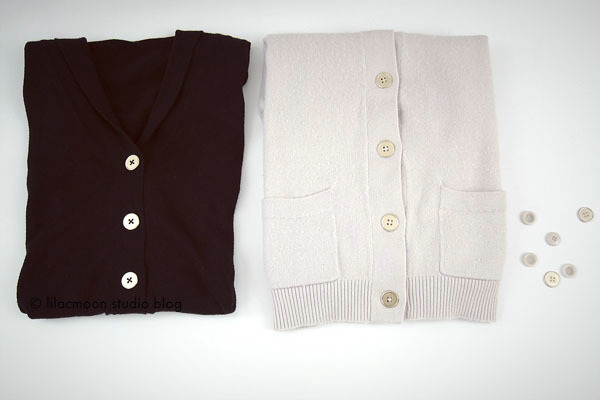 I never thought to replace buttons on old cardigans. I guess i know what i'm doing this weekend! How is the weather in SF? I used to live in Oakland and miss SF terribly~ Hoping to visit sometime in January.